Can coaching help you? Book a FREE session. Want to change things up in life? Need to change things? Do whatever it takes to get you there. Elevate your mood and thinking. Employ music, faith and the power of suggestion. It all matters because ultimately YOU have to step up. Nurture you and fortify yourself with the power of spirit…however you see it. I’m not going to lie to you and tell you that change is easy, especially when a major life change is in order. Change can be tough sometimes. What comes to mind is the common problem of how to deal with a broken heart, the loss of a loved one, weight gain, static ‘stuckness’ and a whole lot more including the barriers that others throw deliberately in your way. A former student of mine said to me just today that change was, indeed, hard (not easy) to tackle. I knew exactly what he was saying. But for me, the switch is in the thinking: if we’ve been mired in the mud for years, then expect it to take at least six months (if you’re dedicated) or up to two years to move out of the place you are in. This is especially so if breaking any addiction or adding or changing any new habit. Give yourself some time to make the necessary and desired changes. Lean into anything that can help you. That includes ‘Spirit’. Fortify yourself with a sense of the mystical. Magic is important when it comes to battling the droll. ‘Move On’ has a message for us. ‘Move On’ has been around for many years, since the 1990’s. I listened to a lot of avant-garde music then. Mouth Music was one of the Scottish Gaelic bands to hit the Canadian airwaves. I lost myself in their other-worldly beats and the lush, magical rhythms of the singers chanting with the fluidity of the lead singer. I’m a singer. I would fixate on these things. The contrast between the upbeat rhythms and soothing lead voice hooked me and still does. It lifted my soul. So did the message – the joyous invitation to go with spirit, to follow and take spirit along with me, and by this I mean the great big presence in this universe in charge of miracles and love and all good things. Magic thinking, yes. But good magic thinking. God for some. Miracle maker for others. We don’t want to lose what we have. We don’t want to regret our decisions. We don’t want to suffer. We don’t want to have to start over. We don’t know what will come next. Better the devil you know than the one you don’t. We’re killing ourselves with indecision. We’re afraid and that’s the essence of indecision. We’re scared and on some level deep down we think we’re going to perish of the pain we might encounter in making great big changes in life. It may be because we think we have experienced enough pain in life. Or maybe the odds are good that we’re going to meet up with ourselves in our next ‘incarnation’ – after striving to make things be different – and life is going to look pretty much like it does today: less than what we want it to be. That fear makes us think that change is impossible. It’s a low grade misery to live like that. Half alive, half dead. This is when it’s time to move on! Songs like this come into being because someone else has felt your pain. The words are derived from someone who has had an encounter in life and given it meaning. I believe the invocation of ‘spirit’ is really an invitation to your highest self – your biggest self, what my spiritual mentor calls SELF. 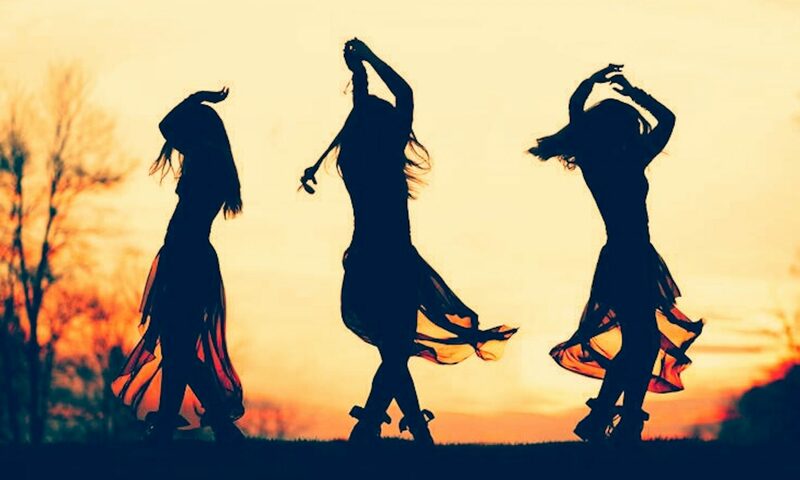 Take your little, lovely fearful human self by the hand to walk up to the dance floor of life. Then begin. Dance. Try. Play with change. Go for it. Be imperfect. Grow. Take action, because moving on requires the first step. It’s going to be a little like dancing with your uncle for the first time, as he slings you around and you get your feet under you (my favourite uncle taught me to polka). Grappling with the newness of life in motion is going to feel awkward, maybe embarrassing, maybe hard…maybe. And what about the moment you finally start to catch on? You get that exhilarating feeling…you know you’re going to be okay. You get your legs underneath you and you can stand on your own, and go forward…strong. Faith is not just something you have; it’s what you DO until you HAVE it. Decision making requires careful consideration but if you wait years, those years will never come back. DRILL DOWN to the DEEPEST PARTS OF YOU and ASK YOURSELF: WHAT IS IT THAT I WANT? What do you truly, really, honestly want? LISTEN TO THAT. Then begin the process of moving on. Get support because you’ll waver. What to do with old memories of ourselves? When you get to the other side, or if you are on the other side and you touch that old chestnut of ‘regret’, I invite you: close the books, the memories, the thoughts of your past, just a little…the memories of the old you, where you’ve been, what’s happened, if this does not serve you. Put that old treasure or trash behind you, if it triggers you and hurts…because these memories can kill us with heartache. Instead, opt to live, breathe in, dance (freely), push aside worry and align yourself with the truth that you were never happy in that other life. This was and is a change that had to be made, however you made or make it. Put on some good music and let it inspire you. Mouth Music’s got your back…we’re moving on in life. Want to get the most inspirational music on the planet in your inbox every Friday? Friday blogs come out on, well, Friday if you're in the Middle East. You can figure out what day if you're east or west of me. I promise not to spam you or share my list. The usual. That's so passé and annoying. Unsubscribe at any time. Yes! Give me some Friday inspiration! Better When I’m Dancing – Let’s Kick Off Feeling Good, Right Now!